A healthy pregnancy isn't luck. Sometimes things happen in pregnancy you're not expecting, and sometimes there are pre-existing conditions. 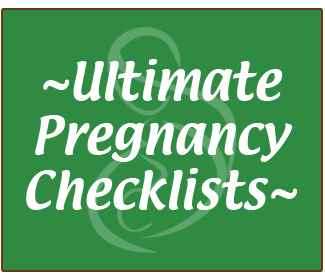 But you can take many steps towards having a healthy, natural pregnancy. This page outlines some of the steps you can take and choices you can make as you grow your baby. Diet is one of the first things you should pay attention to when you find out you're pregnant. Eating small, frequent snacks that include protein can help with morning sickness in the first trimester, and by about halfway through your pregnancy you should be eating a full, nutritious prenatal diet. Remember, your meals go to more than just your baby. Your blood volume expands starting in around week 8 of pregnancy; by 28 weeks of pregnancy, you have added 50-60% more blood than you had pre-pregnancy! Your food also nourishes the placenta, umbilical cord, builds your baby's blood supply, supports your body, and helps you keep up with all the extra work your organs are doing to sustain your baby. This blood volume and nourishment to your uterus are vital for a safe, natural birth. A day with plenty of protein, good fats, salt, and a variety of vegetables forms the basis of a nutritious pregnancy meal plan. Animal foods such as meat, dairy, and fish are important during pregnancy and are packed with far more nutrition gram for gram than plant foods, so they should be part of your pregnancy diet. Plant foods, especially vegetables, are also important as they provide lots of vitamins and minerals. Fat gives you energy, builds your baby's brain, protects you from depression, and allows your body to absorb all the nutrients in your food. One of the most frequent questions I get in my online birthing classes is “what kind of exercise should I do?” My first piece of advice is always to do what your body tells you to do… in other words, don't push yourself too hard. But you should do some exercise during pregnancy. It helps your blood volume increase, brings plenty of oxygen to your baby, increases your stamina and endurance for labor (which is an athletic event), and perhaps best of all, keeps you feeling great. Walking is vital during pregnancy. Walking keeps your pelvis aligned properly, helps your baby line up properly, and generally makes for an easier labor. It's recommended you try to get 3-5 miles of walking in every day. This isn't power walking. It's walking at an easy pace, and can be broken up throughout the day. It's also good to do some resistance work during pregnancy. Resistance bands, pregnancy-safe kettlebell routines, etc. are good options. Prenatal yoga is a soothing weekly (or daily) routine for many moms, and emphasizes squatting and breathing, two vital pregnancy skills. Prenatal belly dance is one of my favorites for getting your heart safely pumping while bonding with your baby and relishing your beautiful pregnant form. It's completely normal to have a wide range of feelings during pregnancy – excitement, joy, awe, shock, apprehension, sadness, and happiness. Most of the time pregnancy brings a variety of feelings, and most of the time those feelings are easy to deal with. But prenatal depression can and does happen. I have always considered pregnancy and babies blessings and enjoyed fairly smooth pregnancies. My fifth pregnancy, however, was a real struggle emotionally for me. I value the experience now because I can help mothers in my classes who are struggling with prenatal or postpartum depression. Simplify meals – use one-skillet/casserole meals, slow cookers, simple lunches, etc. Pack a cooler with snacks and simple lunches if you'll be at work, on the road, etc. Walking Through Shadows (my personal prenatal depression story).